If you're taking on the role of an executor, you may want to hire a probate lawyer. Here's your guide on how to find the right probate attorney near you. A deceased person leaves behind properties which can be a fortune or a headache for the surviving family members. It's important to have an prepare a Last Will and Testament which names and executor or executrix to help distribute your estate and settle your debts after you are gone. It's also the role of the executor to fulfill your last wishes regarding the disposition of your property and make final funeral arrangements. Estate executors do not have to be lawyers or financial experts. However, they have a fiduciary duty to act as per the will of the decedent. There are delicate legal and financial matters involved in fulfilling the directives outlined in the will. Dealing with courts and legal papers and filing estate tax returns can be confusing to nonprofessionals. It is important for executors to hire qualified wills and probate attorneys to oversee the process. The administration of a decedent's estates goes smoother when he or she drafts a will before passing away. In such a case, a probate lawyer can offer legal counsel to the executor or beneficiaries of an estate. For instance, the attorney can scrutinize the will and determine whether the deceased person wrote or signed under pressure. For example, people with interest in the properties of an older adult with dementia can take advantage of them. A probate lawyer can help discover whether someone manipulated the will or forced the decedent to sign it. Most probates go unchallenged apart from a few instances where they face objection. Examples of such situations are claims of forgery, inadequate witnesses, or if the provisions of the will contradict the law. Apart from defending or challenging wills, probate attorneys can help executors with the following tasks. If the decedent happens to have died intestate (without a will), intestacy rules govern the distribution of the estate. The laws are government-imposed and this will fall into the category of Administration of Will instead of Probate of Will. Another scenario is when the executor or executors have died before (pre-deceased) the Testator of the Will (decedent). In this case, the Probate Lawyer will apply for Administration of Estate With Will Annexed. If the deceased person left a surviving spouse but no descendants, the entire estate goes to the spouse. In the same way, the estate goes to the surviving descendants if the decedent does not have a living spouse. According to the Wills, Estates and Succession Act, the term descendant refers to all descendants in the deceased person's lineage. Distribution becomes a bit complicated if the deceased person leaves a surviving spouse and descendants. Whichever the scenario, a probate lawyer should help the administrator to share the assets according to the intestacy rules. A probate attorney can help the estate administrator (no will) in a similar way to an executor. However, the lawyer cannot disregard intestacy laws irrespective of the intentions of the decedent, the surviving spouse, or descendants. A person who intends to become an estate administrator has to get renunciations from the decedent's relatives. These are statements which ascertain that the descendants have endorsed the administration of the assets to the individual. A probate attorney facilitates the process and files the renunciations with the court. The lawyer can also help the estate administrator with probate processes like securing assets, estate checkbook management, and determining estate taxes. There are two general categories of probate attorneys. Transactional probate lawyers deal with the administrative aspect of probates. 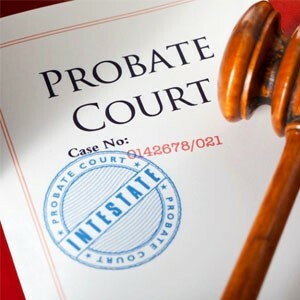 Probate litigators represent their clients in probate cases. Some wills and probate lawyers handle the two sides of probates. However, it is wise to find an attorney who specializes in the service you want. Consult a transactional probate lawyer if the decedent passed away recently and you are looking to begin the probate process. Attorneys with experience in estate planning and trusts may be a perfect match for you. A probate litigator can help solve a dispute regarding the will in court. The lawyer can also represent you if you are dissatisfied with the conduct of your current executor or probate attorney. A litigator will also be suitable if you expect to face further legal battles concerning the estate. Your lawyer should have experience in probate matters and must have represented many clients. The attorney should know whether an action taken would infringe the laws governing a different discipline. If the estate in question is extensive, you might need a probate lawyer conversant with real estate law. One of the best leads to a reliable probate attorney is referrals from trusted people. Friends and colleagues can help you to populate a list of experienced lawyers from your region. Testimonials work best as they prove the attorney's success in probate issues in the past. If you can't get recommendations, perform an online search focusing on your area. It's upon you to do due diligence to single out a competent probate attorney from the results. Look at the websites of individual law firms and contact the offices. Once you have several prospective attorneys, begin the vetting process to select the most appropriate candidate. You can use the following criteria. Search for the biography of the potential lawyer with an emphasis on educational background and area of expertise. Aim for an attorney with evidence of skill in probates, trusts and estates, and estate planning. You should also insist on a lawyer with a considerable period of practice. Research in depth on the attorney and his or her office. An online search for reviews can yield useful information. Read widely and get different opinions to avoid the influence of biased reviewers. Study the content posted on the firm's website or blog to have a sneak peek of the lawyer's mastery of probate issues. Check if you can find any complaints and see how the attorney has responded to them. Check if the lawyer is a member of local and national associations for law professionals, especially in the probate line. Confirm that the candidate features in the bar of association and check their stand. Be sure that your probate attorney is licensed to practice in your country. Further certifications are proof of extensive experience in the indicated areas of law. Focus on estates, trusts, or estate planning. Get a copy of the lawyer's retainer agreement for payment details before committing yourself to the contract. Ask for the attorney to elaborate all the details for you to understand the charges you should expect. This is to avoid unpleasant surprises when it's time to pay for the services. In Alberta, the Courts have a established as a rule of thumb that Probate Lawyers can charge a base fee of $2250.00 plus 0.5% to 1% of the gross value of the estate for core legal services; which may vary depending on the complexity and size of the estate. There may be fees once the Order of Probate or Order of Administration is issued for non-core services such as distribution the estate, real estate transfers, follow-up correspondence with financial institutions, etc. Based on the circumstances surrounding your probate requirements, you may have to hire an attorney with specialized skills. For instance, you may have to deal with parties who speak a foreign language. The lawyer should then understand the dialect. Some lawyers are so into law jargon that their clients get what they are saying. Don't hire someone if you can't understand them and they don't take time to explain themselves. The lawyer has to acknowledge that you are not an expert in law. If you are a first-timer executor, you will probably want to do some of the processes by yourself to learn. You can also do this to save on the fees. A good lawyer should understand and respect that. Your probate attorney does not have to be from your area. However, having the lawyer close to your residence will make it easier for you to meet. If your estate owns properties in various jurisdictions, the lawyer should seek to have the Will sealed once Probate has been granted in the home jurisdiction then transferred to the outside jurisdiction (province) for probate in that area; this process must resonate with the laws of each province and be limited to the respective assets. Do not hire a lawyer who has a conflict of interest in the probate. This may cause distrust and result in disputes and acrimony. Your role as an executor should not end up breaking family ties. For instance, a lawyer who is also a beneficiary of the estate can look for ways to maximize his or her share. Again, even if the attorney acts with decency, some descendants may still think there was some meddling. An attorney needs to have values like integrity, wisdom, and skill. The job is not easy, and it doesn't rely on luck. Lawyers possess an enormous power which can be disastrous if misused. A compromised attorney can bend the law to favor some of the descendants. Ensure that the lawyer you are hiring is trustworthy and has no known integrity issues. After screening the list of attorneys you obtained, you can remain with three of your best match. Ensure that you have a face to face interview with each of them before getting down to business. You have to create a relationship with the attorney because you will be revealing sensitive information to them. The probate will involve large sums of money, and it will take some time. Therefore, you want to be comfortable with the lawyer you choose. Some attorneys charge an upfront consultation fee while others offer free service. Be careful not to fall for unscrupulous lawyers as you chase a discount. You may have to set a budget for meeting with several candidates to get the best. Successful attorneys are always busy, so you may have to book an appointment with them. If the lawyer you are targeting asks you to wait until a particular day, take your time. However, you shouldn't keep waiting if the lawyer keeps on postponing the appointment. That could be an indicator that he or she won't be able to dedicate enough time to your probate. Find another one. It is not unusual for lawyers to assign their legal assistants some of the responsibilities. You may have to work with someone else in some instances, but your lawyer should make it clear. Your relationship with them should determine if you should continue with the contract. When you meet with your candidate for the first time, be frank that you are interviewing a few others. Let them know that you don't have a deep understanding of estate planning and trusts. An experienced lawyer who has done it for years can skip the basics and go straight to complicated subjects. There are many questions you can ask a probate attorney depending on your situation. Below are some of the typical queries. How long have you been practicing probate law and how many cases have you closed? As an executor (or administrator), which areas of the probate can I handle without your intervention? Our estate has offshore property. Can you carry out the probate process there? If not, can you recommend someone? The decedent named another descendant and me as his estate co-executors, but my partner is not willing to get involved. Can I proceed anyway? Who will prepare the decedent's final tax and estate tax returns? How long will the probate process take, approximately? How much do you think this probate will cost? This is your opportunity to scrutinize the abilities of the attorney. Make the best use of it. Ask all the questions you think about to have a mutual understanding with the lawyer before hiring. Finding a local competent probate lawyer can be tricky if you are handling estate distribution for the first time. This guide outlines the steps and tips for selecting your best fit. Most administrative and litigation processes for probates are straightforward for attorneys. They involve routine paperwork. However, they can become complicated if someone raises a dispute, or there are many beneficiaries to consider. People without experience in financial and legal matters can face challenges if they don't seek legal counsel. A misguided action can have serious consequences. A reputable probate attorney can oversee the entire estate distribution process on your behalf. Do you have any question? Just reach out to us, and we'll be happy to help. This entry was posted in probate attorney and tagged probate lawyer edmonton by freedomlawadmin. Bookmark the permalink.